With King of Masked Singer (KMS) having already aired 6 episodes, we, the audience, have enjoyed numerous amounts of surprising performances. I’m enjoying every single thing about this show, from the masks to the song choices, even the celebrities they have on their panel. So his duet performance with his opponent wasn’t so hot. I felt that that the song didn’t fit his voice very well and that was why he lost. He still got to sing his other song as he unveiled his mask. It’s a shame that he didn’t win cause he was so good. Once again, I didn’t know he could sing THAT well. Plus, I didn’t think that he was going to sing an older, Korean song, but he did, and he slayed it. Dude. Luna. I knew she could sing, but man was she super good on this show. I read comments and stuff on how they thought it was her but then they thought it might of been a different singer. I was on the fence about it too because sometimes it would sound like her and then other times I was like, “No, Luna isn’t that advanced in her singing”. I’m glad that it was her. I gotta say, idols are definitely rocking this show! Respect. Technically Solji appeared on the very first/pilot episode of the show. But then she appeared on the first official episode to reveal herself. Her performance is what got me hooked on the show. It was so sweet to see her member tearing up on the panel watching her perform. So I have no idea who this chick is, nor do I know what her name means. She was the one who wanted to compete against Eric Nam. Her voice in that performance and this one is completely different. Completely different. Surprised me. Anyways, she had the whole audience (including me) grooving to her version of the song. Her tone and voice reminds me a lot of Jung In. Her manners and gestures while singing just seems like something that Jung In would do as well. But then again, is Jung In one to appear on a show like this? Now that I’ve written this post, I feel like the performances that I remember the most are the ones that surprised me. The performances that I was definitely not expecting were the ones that I liked the most. I hope this show continues to do so and I hope that it doesn’t get boring. The plan is to start “recapping/reacting” to upcoming episodes, but I’m still trying to figure out a good layout for it. Look out and keep yours eyes here cause it’s definitely going to happen! In the mean time, check out my other post where I kind of predicted that a member of BTOB would be on the show. Let me know what your favorite performance was! Leave a YT link, I’ll definitely check it out! I haven’t watched the show but I have seen clips, of the ones you’ve mentioned above. I loved Sanduel’s performance too. 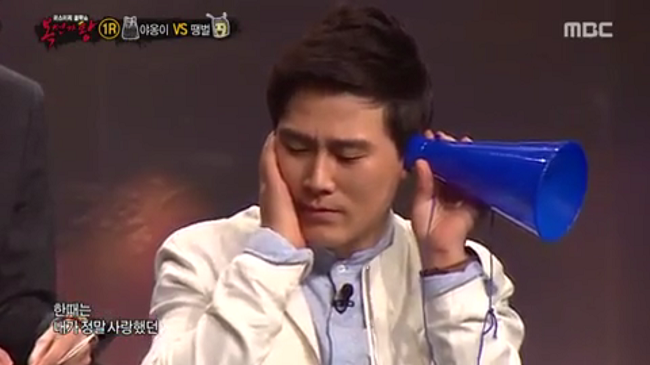 I really like how the show works; keeping the identities a secret to strictly judge the singer by their voice. I’m glad these kidols are getting recognized and appreciated. Thanks for reading and the commenting! I’ve been watching it on dramanice.com but I’m not sure if it has the pilot episode (lunar special) or not. Hope that helps!